Today, the challenge to CCTV professionals is to make sure that video footage is effective on a 24/7 basis, 365 days a year. Securing an area during the daytime is one thing. But what happens during the night? And in weather conditions like fog, rain and snow? What can be detected if CCTV cameras are blinded by the sun? Whatever solution or technology is chosen for securing an area, they all have their advantages and disadvantages and some technologies are more expensive than others. To get a full picture of the Total Cost of Ownership (TCO) for a certain solution, not only the initial installation cost but also the maintenance cost needs to be taken into account. All technologies have advantages and disadvantages but thermal imaging is a very good and a very cost effective solution for protecting a perimeter. This is definitely true if the perimeter needs to be protected during the night. Quite a number of technologies are available to help detect potential intruders in the dark. Although a thermal imaging camera is a bit more expensive than a CCTV camera, less cameras need to be deployed to cover the same area. The civil works that need to be carried out are minimal. Furthermore, since thermal imaging cameras produce a clear image in the darkest of nights, no complimentary technologies like light or infrared illuminators need to be installed. This limits the amount of civil works that needs to be carried out but is it also reducing the maintenance cost. 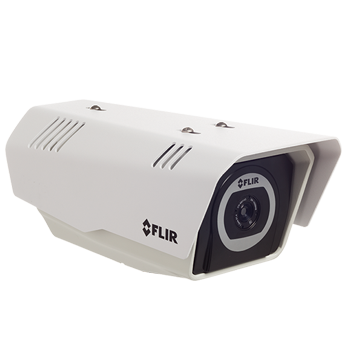 Thermal imaging cameras also generate fewer false alarms which is a common problem with CCTV cameras combined with Video Motion Detection or Video Content Analysis softwares. Although thermal imaging cameras are a bit more expensive than CCTV cameras at initial purchase, they are often not only the best, but also the most cost effective solution. Multiple channels of streaming digital video are available in H.264, MPEG- 4, or M-JPEG formats. Simultaneous digital and composite video output is possible. Each F-Series camera comes with a single sensor copy of FLIR Sensors Manager. This intuitive software allows users to manage and control an F- Series camera in a TCP/IP network. 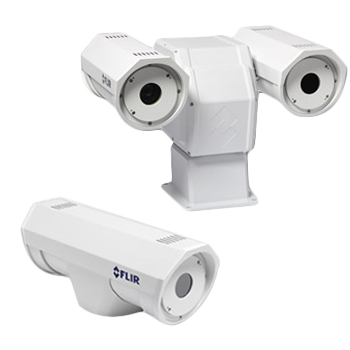 Equipped with a 100 mm lens, the SR-Series is designed for mid-range security and surveillance applications. The SR-606 has a 6° field of view. With the SR-606 you will be able to detect a man-sized target at a distance of over 2.4 km. The SR-Series provide high contrast imagery optimized to get the most out of video analytics software. Digital Detail Enhancement ensures clear, properly contrasted thermal images in all weather conditions. Equipped with an “athermal lens”, all SR-Series are able to maintain focus no matter what the environmental temperature is. There is no need for user adjustments. The absence of a motorized focus mechanism prevents mechanical break downs. The SR-Series do not need any maintenance whatsoever. This guarantees an extremely low total cost of ownership. All SR-Series can be easily connected to common power and video interfaces found in existing and new security systems. They can be easily integrated into any existing CCTV infrastructure providing early detection and visibility 24/7 all the year round. The images from the 640 x 480, 320 x 240 or 160 x 120 pixels detector can be displayed on virtually any existing display that accepts composite video. The SR-Series are extremely rugged systems. Their vital core is well protected, meeting IP66 requirements, against dust and water ingress. For easy integration in analog video environments. Serial control and analog composite video output enable ready integration into legacy network designs. The SR-Series come at an extremely affordable price. From now on, price is no longer an object to integrate thermal imaging into your new or existing video security networks. Network-Ready Pan-Tilt, Multi-Sensor Thermal Security Cameras PT-Series thermal security cameras let you see intruders and other threats to your facility's security clearly in total darkness and in bad weather. The PT-Series precision pan/tilt mechanism gives operators accurate pointing control while providing fully programmable scan patterns, radar slew-to-cue, and slew-to-alarm functionality.Fully enabled for control and operation over digital and serial networks, PT-Series thermal cameras are available in 160 × 120, 320 × 240, and high-resolution 640 × 480 formats, providing up to sixteen times the image clarity and longer threat detection range performance than lower resolution thermal cameras. Multi-sensor configurations also include a day/night 36× zoom color CCD camera on the same pan/tilt package. The user can choose for a version equipped with an uncooled Vanadium Oxide (VOx) microbolometer producing crisp images of 640 x 480 pixels. Users that do not need this image quality can choose for a 320 x 240 pixels version. Models with a 160 x 120 pixels detector are also available. More pixels allow the user to see more detail and to detect more and smaller objects. Advanced internal camera software delivers a crisp image without the need for user adjustments. 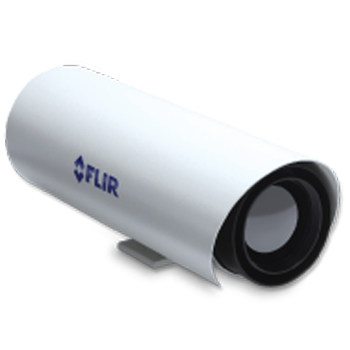 It provides high quality thermal imaging in any night- or daytime environmental conditions. 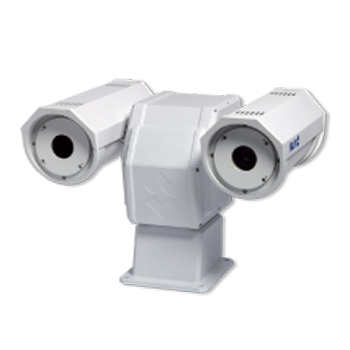 All PT-Series thermal imaging cameras are installed on a precision pan/tilt mechanism. It allows the user to rotate the camera 360° continuously and to tilt it +90° or -90°. This drastically increases situational awareness. The Pan/Tilt has 128 preset postions. Ideal if you want to scan an area continuously. Equipped with a 100 mm lens, the PT-606 is designed for mid-range security and surveillance applications. The PT-606 has a 6° field of view. With the PT-606 you will be able to detect a man-sized target at a distance of over 2.4 km. Equipped with an "athermal lens", all PT-Series are able to maintain focus no matter what the environmental temperature is. There is no need for user adjustments. 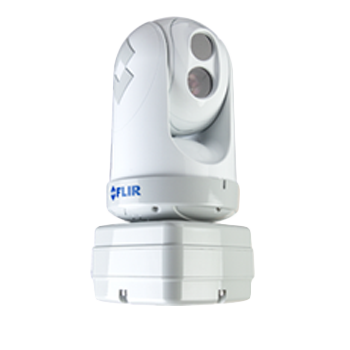 Each PT-Series camera comes with a single sensor copy of FLIR Sensors Manager. This intuitive software allows users to manage and control a PT- Series camera in a TCP/IP network. The PT-602CZ multi-sensor is equipped with a highly reliable, mid-wave, cooled detector which offers mid- to long range detection in all weather conditions. The thermal imaging camera offers a continuous optical and electronic zoom. This offers excellent situational awareness while also giving the possibility to zoom in at suspect activities, and have a closer look, once they are detected. The PT- 602CZ precision pan/tilt mechanism gives operators accurate pointing control while providing fully programmable scan patterns, radar slew-to-cue, and slew- to-alarm functionality. The multi-sensor configurations also includes a day/night 36× zoom color CCD camera on the same pan/tilt package. The PT-602CZ can be integrated into existing networks or used as a stand alone unit. The PT-602CZ is equipped with a cooled Mid-Wave InfraRed (MWIR) detector. This detector produces ultra-sharp thermal images of 640 x 512 pixels. This will satisfy users that want to see the smallest of detail and demand the best possible image quality. 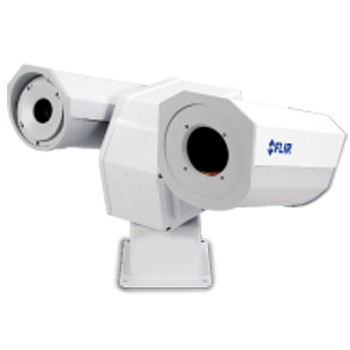 The FLIR PT-602CZ is equipped with powerful continuous optical zoom capability on the thermal image. It offers excellent situational awareness but also the possibility to zoom-in, and see more detail, once a target has been detected. This way operators can see farther recognize more detail and react more quickly to security threats. The advantage of continuously zooming compared to other systems that are using a rotating lens system is that there is no switch or swapping between the different images. You can gradually zoom in while keeping your focus all the time. The PT-602CZ zooms between a 28º wide field of view and a 2º narrow field of view. It allows detecting a man-sized target at a distance of over 9 kilo­meters. A small car can be detected at a distance of more than 15 kilometers. The PT-602CZ thermal imaging cameras come with a precision pan/tilt mechanism. It allows the user to rotate the camera 360° continuously and to tilt it +90° or -90°. This drastically increases situational awareness. The Pan/Tilt has 128 preset positions. Ideal if you want to scan an area continuously. The PT-602CZ can be connected by the integrator to a radar system. If the radar detects an object, the PT-602CZ will automatically turn in the right direction and give you a visual image so that you can instantly see what the blip on the radar screen really means. The PT-602CZ contains an exclusive auto focus feature which delivers crisp, clear images at the press of a button. Focus is kept while zooming in or out. The system allows you to experience better situational awareness in the wide field of view, while maintaining detailed recognition capabilities in the narrow field of view. The PT-602CZ is extremely rugged systems. Their vital core is well protected against dust and water ingress. The PT-602CZ can be integrated in any existing TCP/IP network and controlled over a PC. No additional cables are required. Using this configuration, you can monitor all activity over the network, even when you are thousands of kilometers away. Simply connect the PT-602CZ over RS-232 or RS-422 to a remote control panel. Pelco D or Bosch commands are used for common functions. A video cable can be connected to any existing multi-function display that accepts composite video. The D-Series outdoor dome enclosure provides precision pan/tilt control while providing fully programmable scan patterns, radar slew-to-cue, and slew-to-alarm functionality. Fully enabled for control and operation over IP and serial networks, D-Series systems deploy a 640 x 480 or 320 × 240 pixel thermal imager along with a day/night 36× zoom color CCD camera. FLIR’s D-Series thermal multi-sensor security dome cameras are the perfect replacement for day/night dome cameras, providing clear 24/7 imaging capability in an attractive, discrete dome-style enclosure. FLIR leads the pack in thermal security technology with the new TCX Bullet and Mini Bullet — innovating the first class of cameras to combine 24/7 high-contrast thermal video and high-performance built-in video motion detection (VMD) with a level of affordability that the industry has never seen. 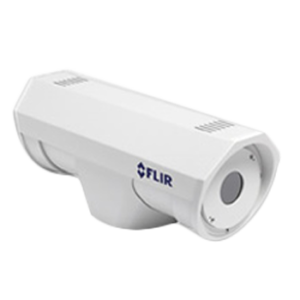 FLIR thermal cameras give you the advantage to see clearly in complete darkness without any illumination, in bright sunlight, through smoke, dust or even light fog. 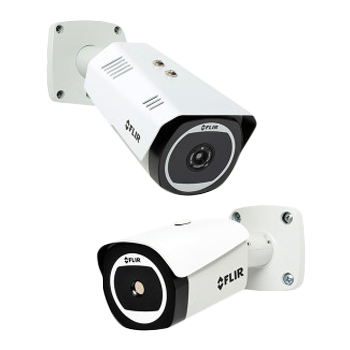 Delivering intrusion detection, video alarm verification, lighting control, people counting, retail traffic flow and queue management, TCX enables a whole new range of applications for thermal imaging in one affordable device.